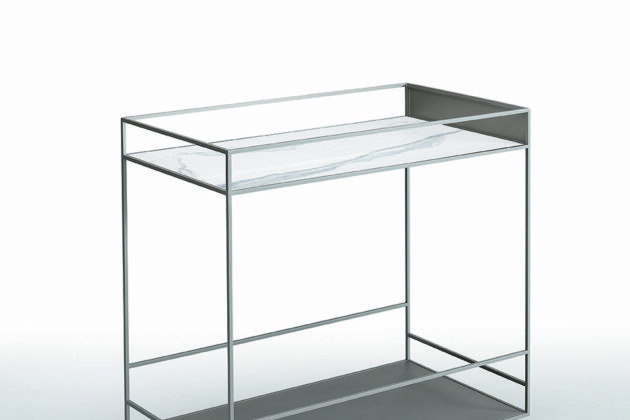 Furnishing items with an original and fun design, to complete with taste any interior. Magnetic composition with a highly decorative mood. 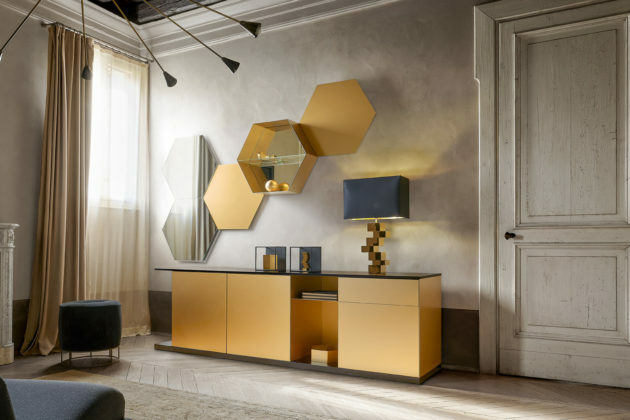 The hexagonal metal panels alternate with hexagonal shaped shelves, creating an interesting game of depth. Coffee table in painted metal and walnut. 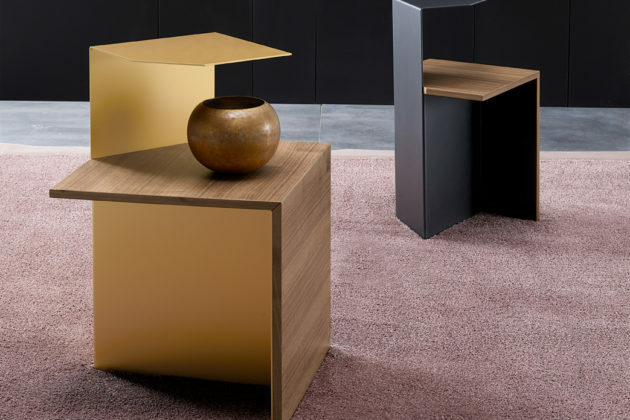 The unexpected shapes and the mix of materials, make Eureka a refined and original coffee table, suitable for any environment, from classic to contemporary. 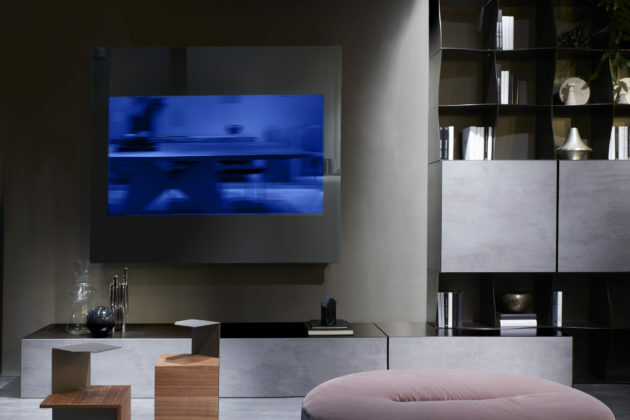 Refined and essential TV hiding mirror. 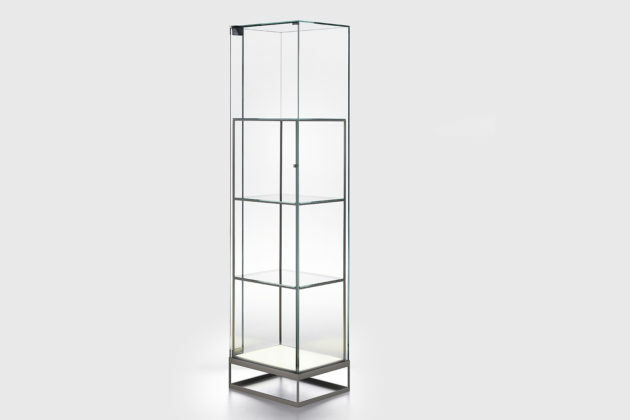 It can be installed independently or integrated with any Ronda Design wall system. Suitable for televisions with a maximum size of 60 inches. 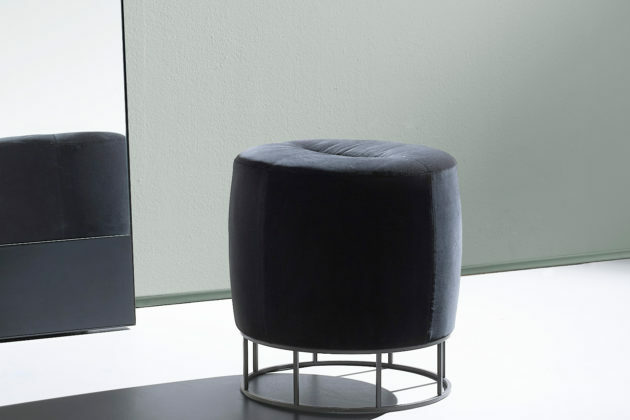 Practical and elegant upholstered pufs, characterized by a light metal structure at the base and a comfortable cushion covered in leather, synthetic leather or velvet, with a square or circular shape. 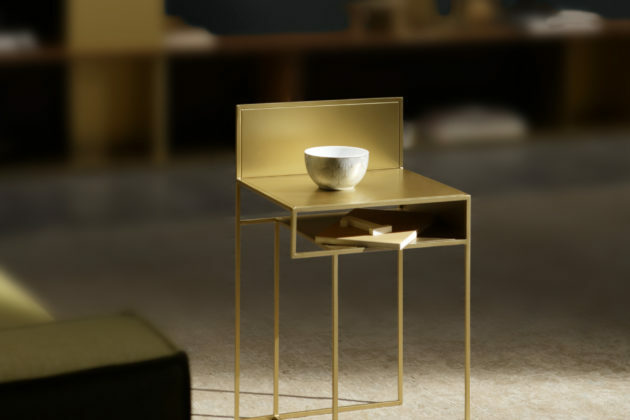 Spot is a trolley in painted metal with a light and modern structure, the upper top in ceramic gives it elegance. It' s also possible to add a wooden interlocking chopping board. 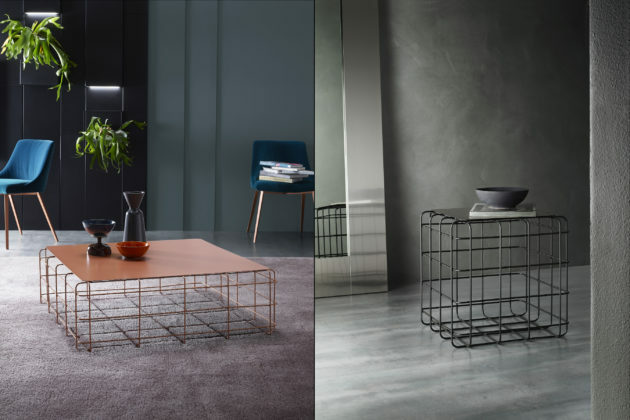 Set of coffee tables with structure in painted metal rod and a matching metal top. The lightness of Wire makes it suitable for any environment, both residential and contract.